The Freedom From Religion Foundation is slamming a West Virginia school district for several constitutional violations that have recently occurred there. A concerned parent reported these infringements in the Logan County Schools system to the state/church watchdog. On Aug. 23, Logan High School broadcast a Christian prayer over the loudspeaker prior to a football game against Man High School. FFRF had written in 2017 to the district regarding a similar violation occurring at Man High School, and the school district responded in April this year that it had provided Man High School with a copy of its policy on religious observances. FFRF understood this to mean that the issue had been resolved, but apparently that was not the case. The U.S. Supreme Court has continually struck down school-sponsored prayer in public schools, FFRF informs the school district. The Logan County Schools system is breaching the Constitution on other fronts, too. FFRF first wrote to the district in 2016 regarding religious assemblies in its schools during the school day. It received a response on May 23, 2016, from then-Superintendent Phyllis Doty that “steps have been taken to ensure that all principals are fully aware of the legal obligations school systems have to remain neutral towards religion.” Despite this assurance, religious assemblies have continued to occur. 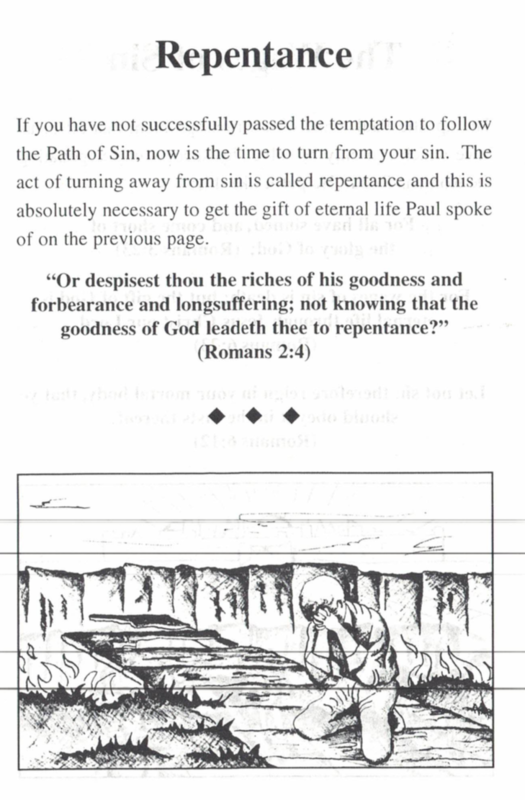 FFRF’s complainant reported that on Aug. 24, their child came home with a religious pamphlet from Man Middle School entitled: “The Romans Road Plan of Salvation & The Epistle to the Romans.” It includes full excerpts from the bible, including topics titled, “Blood Redemption,” “Repentance,” and “Believe God’s Book.” The “Believe God’s Book” section declares, “We must accept the Word of God, the Bible, as the only immutable truth.” This was distributed to students following a “Christian magic show” that took place at the school during the school day. The group that put on this show proselytized to students and then distributed these religious pamphlets and other Christian-themed materials. When a school hosts a religious assembly and distributes religious literature to its students, it has unconstitutionally entangled itself with a religious message — in this case, a Christian message. This alienates those non-Christian students, teachers, and members of the public whose religious beliefs are inconsistent with the message being promoted by the school. FFRF is asking Logan County Schools to quit engaging in all these constitutional transgressions. FFRF has two ongoing lawsuits in the state of West Virginia, the first against Mercer County Schools over the school system’s egregiously unconstitutional “Bible in the Schools” classes for elementary school students and the second challenging the Parkersburg City Council’s practice of reciting the “Lord’s Prayer” at each meeting. The Freedom From Religion Foundation is a national nonprofit organization with 32,000 members nationwide, including in West Virginia. Its purposes are to protect the constitutional principle of separation between state and church, and to educate the public on nontheism.